2017 Men Shalwar Kameez Designs for Eid – Shalwar kameez is not just the national dress of Pakistan but also a favorite Eid outfit for men across the globe. Even those who never wear shalwar kameez throughout the year, tend to wear them for Eid. If you choose the right combination for your shalwar kamees, they make not just a traditional but also a trendy outfit. So here we will be discussing different ideas what men should wear on this eid to look sharp and classy. Eid is all about wearing ethnic outfits, getting all dressed up and having the time of your life with friends and family. Many men are confused about the right length of the Kameez so to answer this question, a longer length is preferable for formal occasions like Eid. For casual wear you can choose to wear your short kurtas and jeans but for Eid it is best that you go for a kameez that is at least reaching your knees. It is equally important to accessorize your shalwar kameez the right way so you can also buy a nehru jacket, handkerchiefs and some nice traditional shoes like khussas or kolhapuri. However, you can also add a touch of western wear to your traditional outfits for example by wearing leather sandals, boat shoes or even espadrilles. The next question that comes up is whether you should wear light colors or dark ones on Eid. The simplest answer is that you can wear light shades of shalwar kameez for Eid namaz or other daytime functions and dark colours with more blingy details for night time functions. If you are fond of wearing white, then what can be better than wearing a simple white kurta for eid, since simplicity is the best policy. In case you want it to be a bit more colourful or different, add in a colourful scarf and matching khussas. Have a look at these Men White Shirt Outfits. Here’s a hybrid of the modern kurta and the sherwani. An elegant dress with embroidery which would make a really different and yet such s stylish outfit for eid. The days when men were expected to wear anything and not fuss over their looks are long gone. Today in Pakistan we have a number of designers working specifically on men’s clothing and their work is truly amazing. Many of these designers are providing products within the range of an average Pakistani. 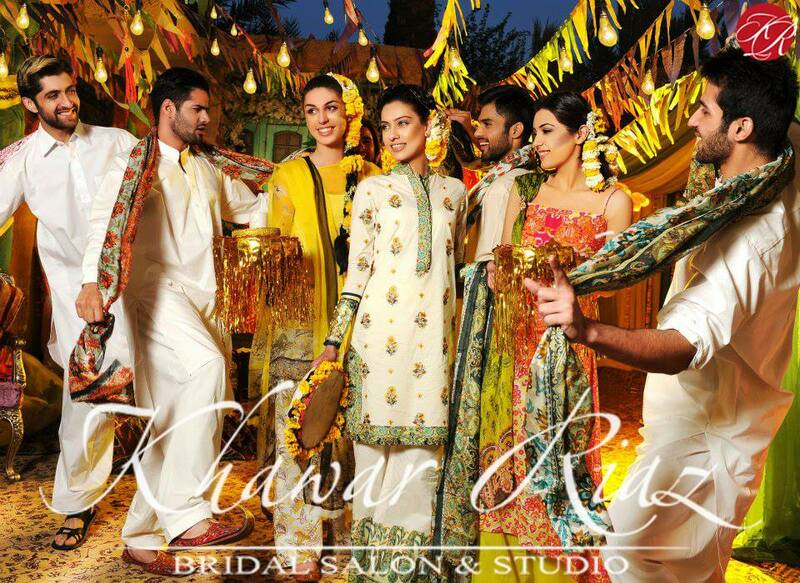 Some of the most prominent designers are Amir Adnan, HSY, Deepak Perwani, Ammar Bilal and Junaid Jamshed. Many renowned stores such as Bonanza and Bareeze have also launched a separate line for men which come up with a new eid collection every year. Even if one can not afford these brands or designers, there is always the option of being inspired by them and getting replicas tailored. Here are a few ideas from the latest eid collection by the prominent Pakistani designer for men’s clothing, Amir Adnan. Here’s a really simple brown shalwar kameez. The colour looks amazing and so does the style, however the dark colour will not be suitable for the day in this hot weather. Nonetheless, you can wear it at the evening functions for sure this eid. So why not “get the look”? Jamawar has become one of the most trending materials in men’s clothing lately, so how about a jamawar waistcoat with your shalwar kameez this eid? Here are 18 Ways to Wear Waistcoat for Classy Look. Simple embroidery around the collar or the buttons can give a whole new look to any ethnic outfit for men.Must check out these 12 fancy embroidered dresses for men too. A nicely tailored waistcoat can make so much difference to your everyday shalwar kameez. It creates such an elegant look for eid.Still if you are confused how to style it then check out these 12 stylish combinations for shalwar kameez with waist coat. Many new and upcoming designers have also brought forward some amazing outfits this Eid and one of our most favorites is the collection by Nauman Arfeen. Have a look for yourself and let us know what you think. Go regal this eid by choosing such royal colours and looking for intricate details like handwork embroideries or statement sleeves to make sure that you get an outfit that matches your personality. If you can carry bright colours, then the neon colours available are a must try this eid. Most of us have heard of the news that the latest men collection by world renowned brand Versace, is inspired by none other than the Pakistani national dress. So why not give these ideas a try? Another simple and elegant combination of black, with golden buttons. Gold and copper have been declared as colors of the year 2017. So why not wear them on such a precious occasion as eid? Right hairstyle is must to compliment the entire look. Check out this handsome model hairstyle with eid dress during bonanza photoshoot. Your eid hairstyle should be neat, decent and simple since this is a religious festivity. One of the most affordable and yet great quality men’s outfits can always be found at J. (Junaid Jamshed). 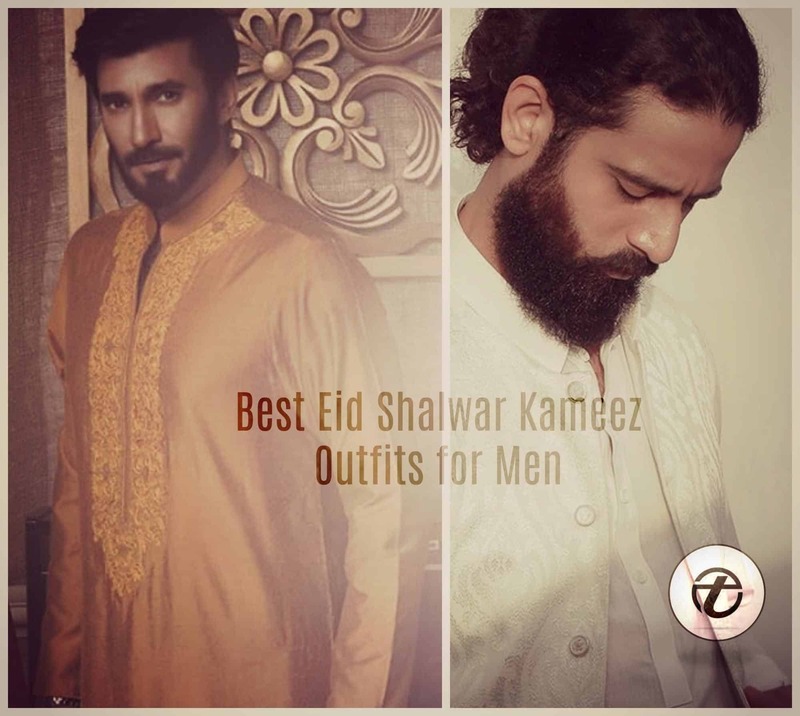 This year too, there Men’s Eid collection is full of some amazing colors and styles for everyone. So whether you’re a teenage boy, a young adult or an adult, you can always find something that matches your taste and style. The best thing about these shalwar kammez is that they can always be altered by them for free if you want a nice tailored fitting. An all black eid outfit is the safest option when you can’t decide on anything else since it makes you stand out like no other outfit does!